I’m an actor, teacher, cushion maker, loyal friend, sometimes writer, lover of open fires, fine wine, board games and a good dad joke. Be a furniture restorer and make more cushions… AND sleep in my yoga gear to give me one less excuse to get up, out the door and on the mat for an early class on these chilly winter mornings. My mum. Because even though she’s seen some really tough times she moves through the world with a beautiful, open, kind, wise and generous spirit. I’m convinced she is a super hero who secretly wears her undies on the outside. In fact, for a big birthday last year (she’d kill me if I stated her age here) in a speech I made for her, I gave her a Wonder Woman costume, which she proceeded to wear for the rest of the party… Looking amazing I might add. She also goes to water aerobics most days and for an hours power walk. She cracks me up every time we speak and if I turn out anything like her, I’ll be one luck lady! Don’t know where I’d be without her. Bring back the carbon tax and invent a teleporter. Yallingup, south coast WA. Because after travelling all over the world I have yet to discover a more beautiful, untouched coastline, surrounded by bush land and some of the worlds top vineyards. There’s a certain crest you drive over on the way into Yallingup bay that still manages to take my breath away after holidaying down there forever. Stunning! We’d start the day at Shuk, in North Bondi, for baked egg deliciousness and great coffee… Walk that off with doing the Bondi to Bronte cliff walk and then it’s hard to go past the North Bondi RSL for a late lunch. It has great food, cheap drinks and one of the best views in Sydney! And if you’re lucky you can win yourself a seafood tray. Where do I start? Nick Cave, Push The Sky Away is on high repetition at the moment. The Arcade Fire, Kings of Convenience, Little May, Sonny and Brownie, Neil Young, PJ Harvey…. I could go on. ….. A warm gun..? And living your truth. Sometimes it can be confronting, but I think it’s the key. My immediate future is touring regional Australia with Stevie Rogers play called Food. So along with the joy of performing the role of Nancy, who is very close to my heart, I have a feeling the next three months will involve a lot of op shopping, exploring, discovering new country towns, Geocashing and odd motel rooms. After that, I’m not sure… But I’m excited to find out! Definitely lots of travel, good times with special people, endless belly laughs and inspiring new work. A feature film a year would be pretty great! 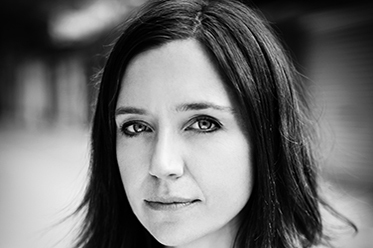 Emma Jackson’s career has spanned theatre, film and TV since her graduation from NIDA. Theatre credits include Fool for Love (B Sharp/Savage Productions); Nothing Personal, Let the Sunshine (Ensemble Theatre); Dead Man’s Cellphone (Melbourne Theatre Company); and Stoning Mary (Griffin Theatre). Emma won the Marten Bequest Travelling Scholarship in 2006 and relocated to New York to train with the SITI Co and intern with The Wooster Group. In the US, she appeared in The Bird, Reader, Windows and Bed (One Year Lease Theatre Company, New York); and C4 The Chekhov Project (Prospect Theatre, New York). She also performed in Reasonable Doubt (Theatre Tours International) in London and at the Edinburgh Festival. Emma will be performing in Steve Rodger’s Food at Glen Street Theatre from 31 July – 6 August. For more information, visit: www.glenstreet.com.au for details.